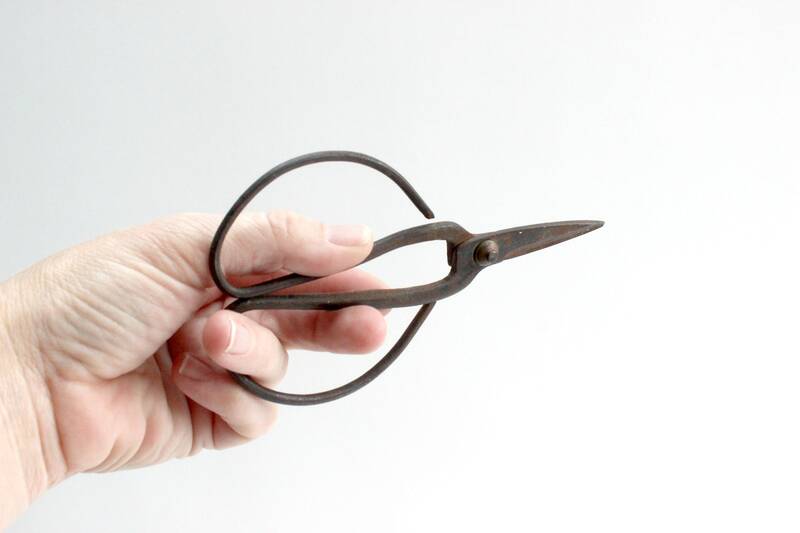 Vintage metal scissors. 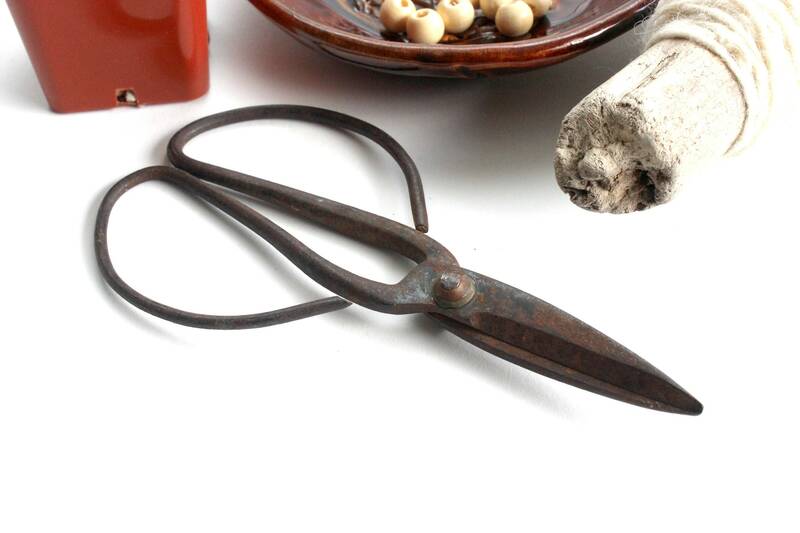 Small pair of scissors with large bent iron handles. 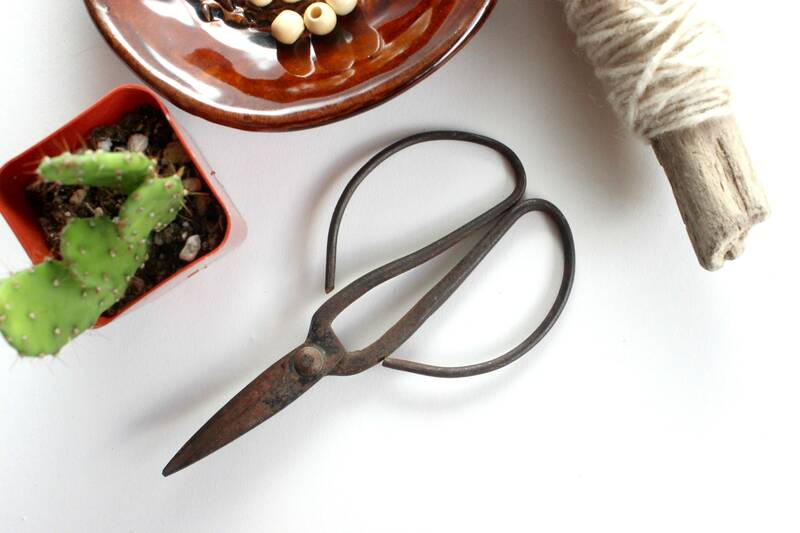 These scissors have a lot of character and actually work well! They also make a fun photo and desk prop! Vintage/used condition. Heavily rusted and worn. 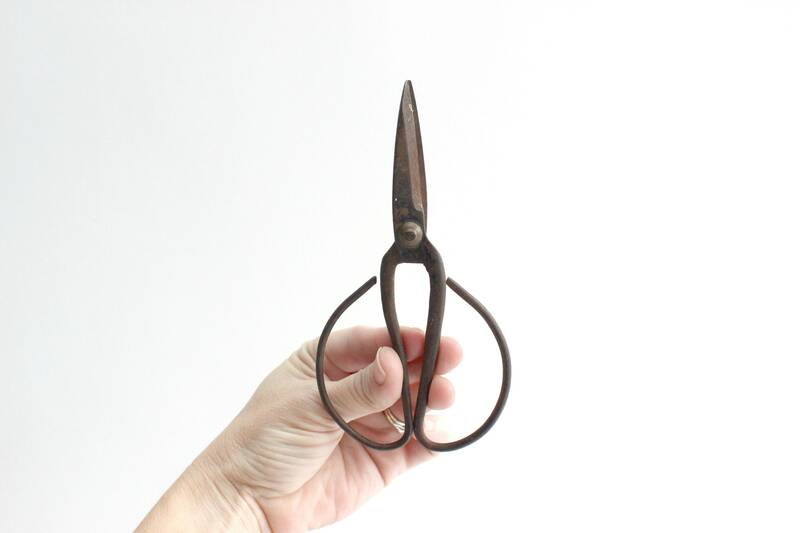 Despite the look, the scissors are very sharp and cut well. 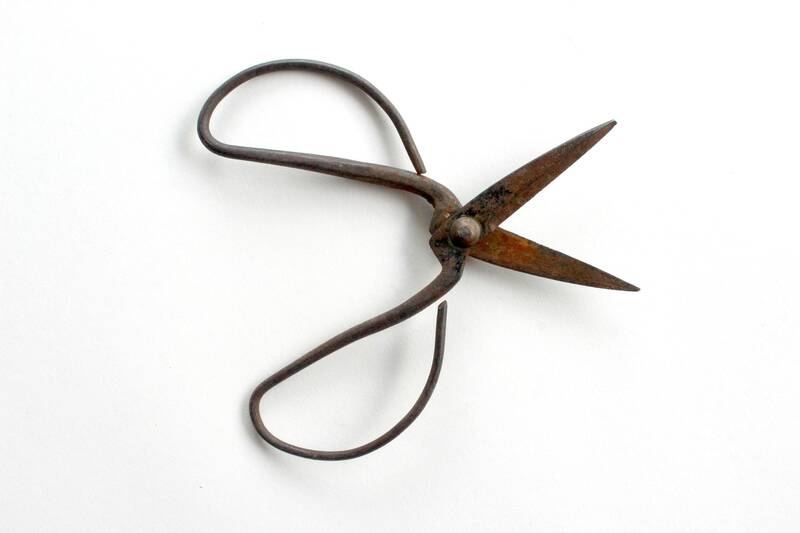 Measures 6 inches long and 3 inches wide.